We check over 450 stores daily and we last saw this product for £173 at Oscar de la Renta. Product Description. 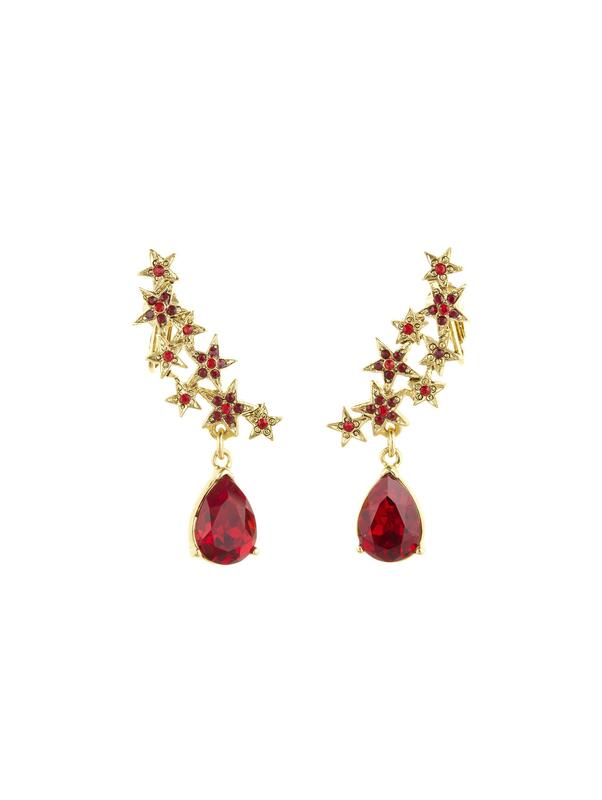 Our dazzling gold-plated earrings are encrusted with garnet Swarovski crystals to add a dose of sparkle to day or night look. They are designed with a cluster of stars that climbs your earlobe like a cuff and faceted teardrop stones. Tie up your hair to really show them off. 2" x 1⁄2". Pewter / crystal / brass / steel. Nickel-free / lead-free / cadmium-free. For pierced ears. Made in USA. Free ground shipping & returns on full-price U.S. orders.